It’s a crazy, competitive combat sports world. Every fighter out there is looking for techniques that can set them apart. No one wants to run in the middle of the pack. 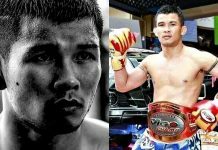 Knowing and perfecting Muay Thai is a great thing to have in the weaponry. Muay Thai is an essential combat skill that is both effective and highly technical. Mastering the art means lots of practice, even with constant failure. Everyone who takes it seriously has to be focused and dedicated to making sure all techniques are correct. There are a lot of small details that we need to pay attention to. When the basics are down, then we can move on to the advanced techniques. This video that Evolve Vacation shares with us today is a great example of an advanced technique that you can add to your repertoire. 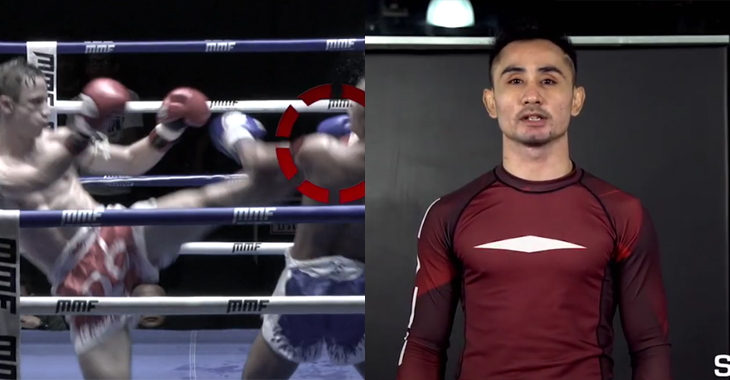 In the following clip, Muay Thai world champion Sam-A Gaiyanghadao demonstrates a head kick set up for southpaws. First, throw a left body kick. This will get your opponent to focus on your left body kick. Then throw an inside leg kick to your opponent’s lead leg. As he stumbles, your opponent’s guard will lower as a natural reaction to regain balance. This opening creates an easy target for you to land your left head kick. You need to be quick with this move and capitalize on the opening, so be quick. Throw that left head kick immediately and close the distance. Throw it with conviction and with the intent to end the fight in an instant. Don’t throw your leg kick with too much force. This allows you to skip right into a head kick immediately after.